IS SWACHH BHARAT ABHIYAN PRACTICAL? Group Discussion (GD) can be described as a communicative situation in which a group of participants express views and opinions and share with one another. There is a systematic exchange of views and opinions in it about a given topic among the members who share certain common objectives. It is thus an interactive oral process. GD is being used more and more by reputed companies, institutes and B-schools for selection of candidates for jobs or admission to prestigious courses. It serves to separate the cream group out of the applicants and sends them for further rounds of tests so as to be chosen in an accurate career position matching their aptitude and skill-set. The candidates qualify for a Group Discussion (GD) on the basis of their academic record and scores. A final interview call is given to those who clear the round of GD. Since qualification and entrance test scores are nearly the same for most of the candidates, much will depend on the GD. In it, a group of students (from six to eight) is assigned a topic for discussion for 30 to 40 minutes. The organizers are looking for an effective combination of knowledge and skills in the candidates. They should have some understanding of the topic assigned, and also a good level of awareness of the world around them. Recruiters look for certain skills in the aspirants, which include communication skills, listening skills, analytical skills, the ability to handle stress, decision-making skills, etc. Management is an applied discipline; therefore the candidates competing for managerial posts or admissions to managerial courses are expected to use their analytical skills to apply theory effectively to solve general problems. The panel tries to see whether the candidate thinks clearly about a situation, and is able to use his treasure of knowledge and applies it to make his point. (i) Earnest endeavours should be made to have a reasonable knowledge of the major topics of current national and international interest as the topic may relate to any of them. For this you need to read regularly standard newspapers and career magazines. (ii) It is necessary to acquiring language skills, because if you are unable to express what you know, others will not come to know anything about your knowledge. (iii) Communication skills are the most important attribute of a manager. These skills include articulation skills, word power and listening skills. The organizers look for the candidate’s keenness and ability to listen to others. Remember, good communication is not about speaking a lot, in a stylish accent, or in using bombastic words. Simple and clear expression is always impressive. So develop these skills in right earnest. (iv) You must develop the ability to support your views with arguments to make them convincing. This skill can be developed by having mock GD sessions with your friends, or by joining an institute. (v) There should not be hesitation in speaking before a number of people. If you are nervous or hesitant you will forget what you know and cut a sorry figure. Practicing speaking before a mirror helps. (vi) Going through a number of GD sessions mock or real, gives you the experience and confidence to tackle the GD round. (vii) Team skills are very important for the GD. These include being able to handle points of view different from yours, getting across your point of view without appearing to be aggressive. A good team player makes other members of the group to connect with him/her. It is important to develop these skills. (viii) In case you plan to initiate the GD, do so if you have a good knowledge of the given topic. Make a note of major points so that you may conclude impressively at the end. (i) Don’t be eager, or anxious to speak. Wait for your turn. (ii) Do not interfere when others are speaking. Don’t argue with them, as it is not a dabate. (ii) While speaking, keep eye contact with all other participants. (iii) Initiating the GD is an advantage. But this should be done only if you understand the GD topic clearly and there is an opportunity to take the lead. Remember, initiating a GD is not a passport to the next level. It must be baked by a good speech on your turn. (iv) If you are the initiator, assume all responsibilities that go with it, the foremost being to ensure that the GD runs smoothly. (v) Always speak clearly and confidently. Never use high sounding, bombastic words; use simple and appropriate words while speaking. (vi) Don’t be too aggressive if you disagree with someone. You need not answer others, but give your opinion on the given topic. Remember, it is a GD, not a debate. (vii) If the group is distracting from the topic or goal, take initiative to bring the discussion on the track. Make all group members aware that you all need to come to some conclusion at the end of the discussion. (viii) Keeping a positive body language always helps. Show interest in discussion. Do not look away when someone is speaking. (ix) When you speak, your thoughts should be sensible and relevant. But keep the points ready and in sequence so that you say all you want to say. Conclude your speech with your view for or against. (x) Pay attention to what others are speaking. This will help you avoid repetition, and make you get involved in the group positively. You will surely make people agree with you. (xii) Don’t mention exact figures while giving any reference. Since you have limited time, be precise and convey your thoughts in short and simple language. (xiii) Follow the dress code. You should be dressed formally feel comfortable while speaking in group. The candidates in the present GD are given Chest Numbers from 1 to 8. They are seated in a semicircle so that they can observe one another and respond to the views expressed by anyone in the group. No one addresses the other by name, and each participant is addressed by his/her Chest Number. The examiner announces the topic to the participants: “Is Swachh Bharat Abhiayan practical?” He asks them to complete the group task within 40 minutes and withdraws from the scene. He conveniently seats himself away from them but at a place from where he can observe them and hear them express their views. As soon as the examiner retires from the hall, there are whispers and cross-talks. Some ask their adjoining participants, left or right, about the purport of the topic. After a minute or two, after some whispering and uncertainty as to who will speak first, No.4 takes the lead role and says: “Let us not waste time in side-talks. There is a time limit and we must get things going.” There was silence as everyone started looking at him. No.7 who was sitting opposite to No.3 said, “You’re right, and now since you have taken this initiative, you should speak first.” All others nodded in confirmation. No.4: OK guys! As you know Swachh Bharat Abhiyan is a national level campaign by the Govt. of India covering 4041 statutory towns to clean the streets, roads and infrastructure of the country. It was officially launched on 2 October 2014 at New Delhi, where Prime Minister NarendraModi himself wielded broom and cleaned a road. The campaign is India’s biggest ever cleanliness drive and 3 million government employees and schools and colleges students of India participated in this event. It has been carried forward since then with famous people from all walks of life joining it. 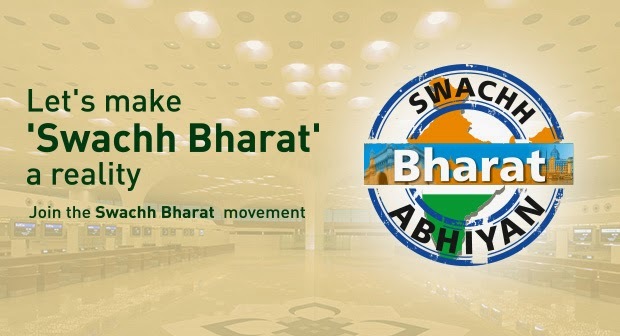 This campaign aims to accomplish the vision of ‘Clean India’ by 2 October, 2019, 150th birthday of Mahatma Gandhi and is expected to cost over 62000 crore. I think the campaign is practical as a large number of people from all walks of life are participating in it. Comments: No. 4 has shown leadership qualities by initiating the GD. He has given a background of the Swachh Bharat Abhiyan and expressed his views clearly and succinctly. He has a good chance to move ahead in the selection process. No.8: According to me this is all useless. Cleaning India is not possible by any such campaign. The people don’t bother about their surroundings so long as their own house is clean. They have the habit of throwing waste here and there whatever the consequences. They have been like this for ages and will remain like this. So I think this campaign is not practical. Comments: No.8 has painted a very negative picture of Indian society, completely rejecting the fact that people are more conscious of cleanliness of their surroundings. He has not given any strong arguments in support of his view. He is likely to be rejected. No.2: I am of the opinion that cleanliness is important for our health as well as to improve the image of our country in the eyes of others who feel that India though a very beautiful country has heaps of dirt in the cities. It is nice that our Prime Minister has started this campaign and involved so many important people with whose influence common people will take part in it. I find no reason to say why this campaign is not practical. That’s all I want to say. Comments: No.2 has spoken well giving his views cogently, but he should have given some more arguments to support his view. He may or may not get a chance to move ahead in the selection process. It depends on the performance of other participants. No.7: Much else is needed apart from such abhiyan’s to make Swachh Bharat a reality. Most of our cities have no civic administration worth the name. The condition of waste bins is deplorable to say the least. There is no punishment for where you may dump the garbage. I am not talking of all cities, but most cities are such. If that doesn’t change no cleanliness campaign will make India swachh. This what I feel. Thanks guys! Comments: No.7 has started well but not conclude all that well. He hastened to conclude instead of elaborating on the point made by him. He doesn’t have much of a chance here. No.6: Frankly speaking, I don’t like this topic at all. There are so many other issue on which a topic can be given. Such gimmicks are not uncommon. Whenever there is a new political leaders, stunts like this do rounds in media circles. Supports of specific political parties misguide the people with such slogans, and in the end, nothing happens. There have been projects like Clean Ganga, etc. which have not yielded any positive result, but millions rupees of funds have been spent, wasted rather. Swachh Bharat is another such programme. This is not practical at all. Comments: The candidate has not spoken well. His inexperience was evident. First, he criticized the efficacy of the topic. Then he called the campaign a gimmick and a stunt, without supporting this with any argument. He did not say anything about the practicability of the campaign. He will not be considered for selection to the next round. No.3: I also think this is not a topic to be given to prospective managers. What have they to do with campaigns like this? What will they learn by participating in GDs with such topics. There are hundreds of other meaningful topics. I have no opinion on the given topic. Comments: The candidate has made the mistake of challenging the efficacy of the discussion, This is quite wrong. Once a topic has been given, the candidates have to discuss it. He will be rejected outright. No.5: I don’t categorically say that it is a political gimmick or not, but political parties are trying to get a mileage out of it. Desperate to stay in public notice, the Delhi BJP and the AamAadmi Party (AAP) have been engaged in a full-blown cleanliness war these days. The latest in the series of public posturing over garbage, the AAP sent a letter to the Delhi BJP chief along with photographs of garbage on streets and accused them of playing dirty politics. A day earlier, the state BJP had stumped AAP’s convener and former Delhi chief minister Arvind Kejriwal by sending photographs of dirty toilet blocks and poorly maintained streets in his own constituency. When the prime minister started the Swachh Bharat Abhiyan people felt thought to be a good initiative and participated in it by sending pictures of dirty places so that they could be taken up by the corporations. But now it is being used by political parties to get public attention. This should stop. That is all I want to say. Comments: The participation of No.5 is not up to the mark. Instead of saying something useful on the topic in hand, he has digressed, quoting what has been done by political parties and their leaders. He may not get a chance to move to the next round. No.1: According to me Indian cities and towns are dirty because of many reasons. The major among these are lack of enough dust bins, so most people end up throwing on roadsides. Whatever dustbins are, they are overflowing, There is underpayed and understaffed cleaning department. Even if people throw only in bins, there’s no one to dispose the waste regularly. There is no accountability. If the municipal corporations or committees is not working well, no action is taken against them. There is no fine for littering. Most importantly, people’s mindset is not in favour of cleanliness. They think it doesn’t matter if they litter or throw some waste on the roadside or in a water body. It is good that this cleanliness campaign has been launched, but you have to take care of the above to make it successful. Cleanliness is not a small task that can be achieved by individuals volunteering to clean up on Gandhi Jayanti. You have to change the mindset of the people. The campaign is practical but needs planning and dedication apart from enthusiasm. Thanks all! Comments: No.1 has presented his views well explaining the reasons of our cities and towns being dirty. He presented his views confidently and clearly. His preparation for the GD was evident in his speech. He is sure to be selected for the next round in the selection process. When all the participants had spoken, No.4 concludes the GD. Conclusion: This GD is now concluded within the allotted time. I thank all the candidates for their participation. On the basis of views expressed by the participants we can conclude that Swachh Bharat Abhiyan is the need of the hour as most of our cities and towns are dirty. People have participated in this campaign with enthusiasm. But there are many reasons due to which we have not been able to keep out surroundings clean. The problem related to dirt, garbage and its disposal need to be addressed. People’s mindset need to be changed, so that they follow habits and ways of cleanliness. The campaign is practical, but needs a systematic approach, not just enthusiasm. I once again thank all participants for being part of this GD.